I posted this schedule news yesterday but I will include it here in case some one missed it. I would hate for you to drive a long distance for a revival and discover we are not there as planned. 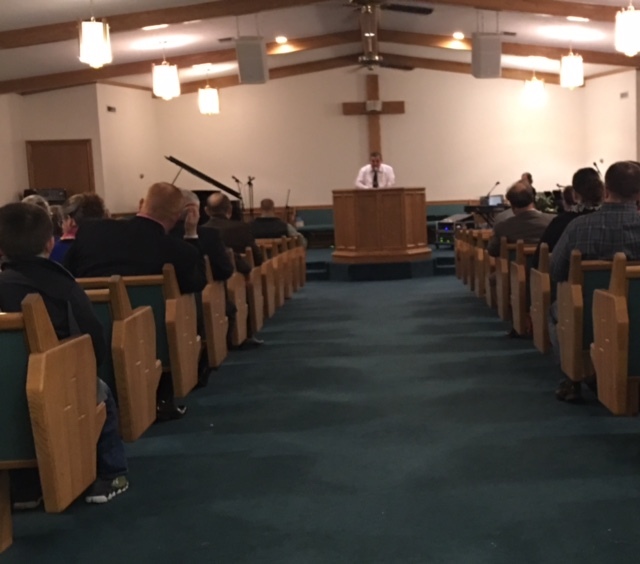 The revival scheduled for January 11-13, Wednesday through Friday, in Sweeny, Texas has been cancelled due to a death in the church. Please pray for Pastor Larry Lamb and the church, especially his daughter, Sis. Dana Purkey and her children and grandchildren. We also received more very bad news Sunday morning. Sis. Cindy Hunt, the wife of Bro. Al Hunt from Wallville, Oklahoma passed away unexpectedly Saturday night/Sunday morning. Bro. Al was one of the first Pastors I preached for in Oklahoma 28-29 years ago. Please pray for their family as well. What a winter weekend this ended up becoming and that is exactly why we have avoided traveling very far north of I-20 the last two winters. We spent most of January and February in Oklahoma, Kansas and Missouri for our first 12 years on the road. The bad weather drove us south and this trip is definitely an anomaly we do not want to repeat! By the time we were finishing our time in Oklahoma in February 2014 it was clear that our AquaHot (diesel fired) heating system was on its last legs. Without the AquaHot it is very difficult to keep some things from freezing up in the bays of the BoggsMobile and even inside the house portion of the bus. Even though we have stayed warm in the excessive cold, the water lines to the shower froze Friday morning and it was bitter cold in the wind. Even though we had a great revival this week in Amber and I feel like God was in the whole thing, I have not enjoyed the cold and I plan to enjoy a lot less of it in the future! The snow started late Thursday night and continued beyond lunch time on Friday. I swept the snow away all around the bus but it kept falling. Notice in the picture above that the water hose is hooked to the bus. I can not leave the water hose hooked up in weather like this. It will freeze in minutes without water running through it. But of course, we picked the coldest, windiest day of the year to run out of water in the fresh water tank. I immediately unhooked it when I was finished filling the tank and the hose was too frozen to roll up. I ended up wrestling 50 feet of frozen hose inside and putting it in the shower to thaw. Remind me again why I should like winter? We had church Friday night but we really only expected the faithful home folks. I was shocked when visitor after visitor came in to the service. Several of them told me the road grew worse as they came nearer to Amber and one man told me he even thought about turning around and going home. God blessed us with a great crowd and a great service! When all was said and done, we made our way to the bus and it sure seemed awfully cold when we were loading the sound equipment. Then I found out why. I planned to start early Saturday morning but when I saw this below, I went back to bed! I waited until it was all the way up to 16 degrees before I decided it might be warm enough to leave. I had the block heater on all night so the big Detroit 60 Series fired right up. Then I discovered I needed windshield heaters too. This ice is on the inside of the window and it was pretty thick. I carved "Hi" in the ice with my finger nail with considerable effort! I was worried about getting out of the parking spot and into the street with all the snow and frozen tundra but all of my worry was vain. Here is the BoggsMobile and the Green Machine in the street ready to go. I had not had Mexican food since Monday when I had it twice, so I remedied that Saturday. I stopped in Ardmore for Diesel and took a few pictures of our filthy bus and car. I hope to wash them both today before we hit the road. We spent all of Sunday with our friends at the House of Prayer in Gainesville, Texas. We enjoyed two wonderfully encouraging services with Pastor Dennis King and all of the fine folks in Gainesville. If the first week of the year is any indication of how things will be in 2017, I can not wait to see what happens! Our first visit to Gainesville was in February 2003 and we had nearly three weeks of revival that time. Pastor RG Logan was very good to have us as often as we would come and since he passed the baton to Bro. Dennis King, he has continued inviting us to the House of Prayer. We are thrilled to have these folks as our friends. Our friends Bro. Richard and Sis. Naomi Frank came to be with us Sunday night and we enjoyed their visit. The weather is much better today and gets even better tomorrow. I can handle 70 degrees just fine.